I heard it said once that Albanian proverbs are only helpful by accident, “like a shrug written down,” and I can honestly say that about sums up my experience in Kosovo. PST host family throw surprise birthday party for me. I have learned so many accidental lessons, discovered truths and met some of the most amazing people I never even knew existed. You’re probably wondering how could anyone possibly think of some strange, foreign land, where no one even remotely resembles you as home, right? I’ll tell you how, you look for the common denominator. Upon acceptance of the invitation to serve in Kosovo, there were two things that I was 100% certain of: 1) I knew absolutely nothing about Kosovo and 2) I wasn’t going to learn anything intimately about Kosovo or its people until I arrived. So aside from gaining a brief historical background and some important Albanian phrases from my local library, I came equipped only with my keen observation skills and an earnest desire to learn more. Kosovo is where the term “collectivist culture” came alive for me, something more than just what I read about in books. I felt it every time I uttered my host father’s name and nods of recognition are followed by a verbal family tree being recreated in front of you and you start to realize that you now too are included in this interconnectedness when your hear “vajza e (insert host father’s name). It’s tasted in the 100th glass of çaj rusi at the 10th house you’ve been to in the span of one hour to some neighbor or aunt or distant cousin. It’s inhaled as you and three other women stand over a fire for several hours making flia. Host family created their first Thanksgiving dinner meal to celebrate with me. 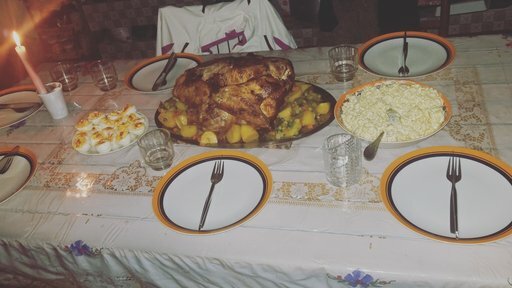 You look around and notice that your host mother is a lot like your own mother, constantly worrying you aren’t eating enough saying “edhe pak,edhe pak,” insisting that you just have a little more meat or bread. Your host father is just as protective as your own American father, never meddling, but always watchful, concerned and always armed with a plethora of jokes to lighten up any mood. Your host siblings laugh, play, sing, dance, share stories and trust just like your own siblings and before you know it you have this huge, adopted, extended family. Love transcends all languages and cultures and I’ve found home in these families who constantly go out of their way to make me feel welcome and valued. I feel proud to teach such resilient youth daily. I feel honored to break bread with such humble people, people who have taught me patience, compassion, and who have overall managed with a complicated history to still not take things so seriously. They’ve taught me there’s always time for a cup of coffee or a glass of çaj, but more importantly they have taught me that home is a state of being – wherever or whatever you open your heart to can and will always feel like home. Michaela Washington is a TEFL volunteer in the Peja region of Kosovo. Service work has always been a passion of hers and she felt that Peace Corps was the perfect opportunity to be part of something bigger than herself. 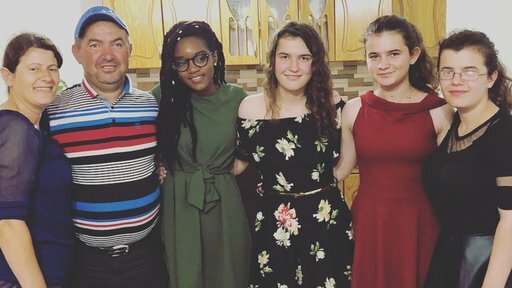 With her background in Psychology she loves looking at the relationships within Kosovo communities and using her skills to enhance her students educational experiences. Michaela will complete service August of 2020 and is hoping to continue to serve communities all over the world.